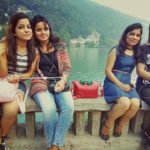 by Swati Kurra April 5, 2019 November 2, 2016 4 Comments on Nainital, the girls only trip ! I was well acquainted with the place. It hardly needs any planning and can be covered over a weekend. 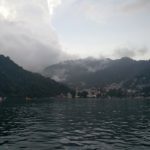 And, the travel bug bit me again and this time it was “The City of Lakes – Nainital“. 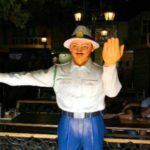 A Whatsapp group was created for planning and misplanning exactly a month before to follow the old tradition. After a lot of discussions, we booked a train until Kathgodam for Friday (9th Sep 2016) with around >40 waiting and return on Sunday (11th Sep 2016) with >15 waiting. Unfortunately, we got no confirmation by Wednesday night. On Thursday, without any luck with the reservations :(, quick decisions were taken and Volvo tickets were booked for Friday night (9th Sep 2016). We all assembled near Anand Vihar way before the Volvo’s timing. I tell you something, these private Volvos never run on time or maybe someone somewhere was testing our patience. As the clock struck midnight and the bus started moving, everyone got super excited about the most awaited girls only trip (of the year). 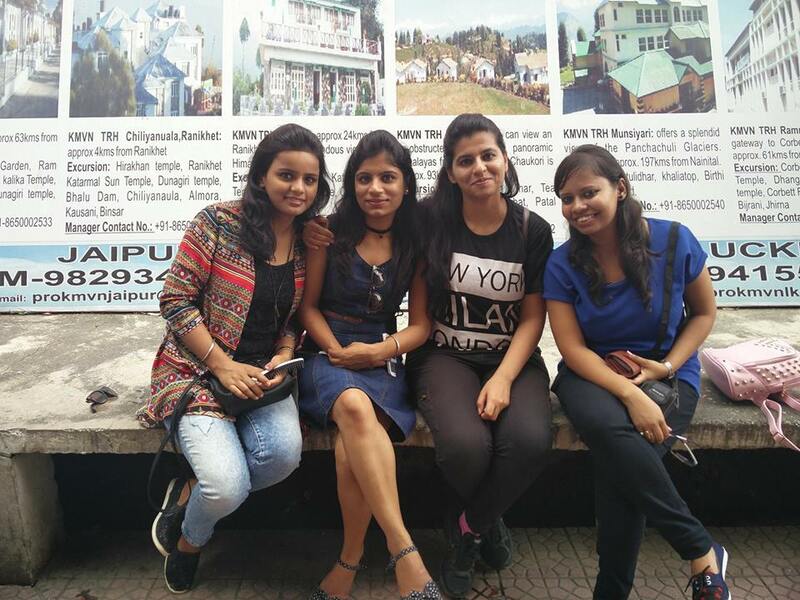 I was finally en-route for Nainital with all my bffs. Yipee!!! Archana : Where are you going ? 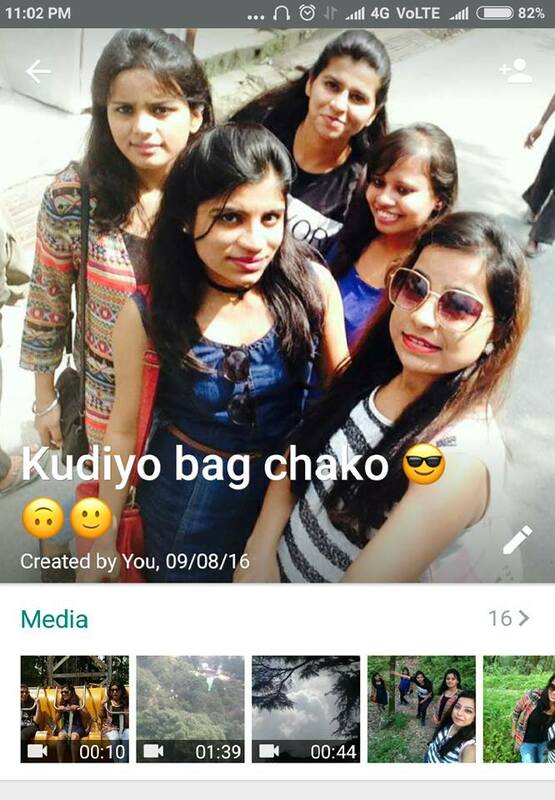 Guy : Nainital, my home town. Archana : Ohh !! that’s amazing. 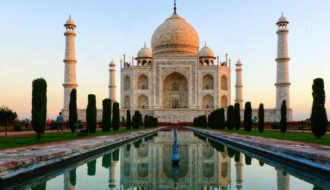 We are also going to Nainital for sightseeing. 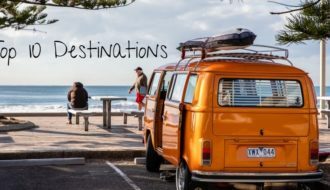 So, you can tell us about the best places to visit in the town. Guy : Why not ? (then he told us about the same). What do you guys do ? 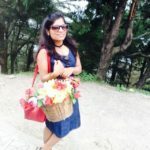 Archana : We are software engineers and what about you ? Guy : I am an editor and writes blogs as well . Swati : I can’t belive you. You don’t look like an editor. 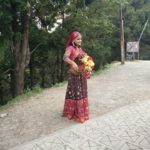 There were around 30-40 people on the road now, waiting for the cab to get them to the Nainital. It was a tough fight, strategies have been laid to get the very next cab and it worked with just one flaw, we got 4 instead of 5 seats. “‘No worries! I can sit on Archana’s lap’, I said this immediately” and Archana frowned for a sec then agreed. A drawing room with sofas and a study table near a window and of course a bedroom with a beautiful painting on the wall with an attached life-size washroom and a dressing “What else a girl needs”? It was way more than the expectations! Shortly later, we started looking for the cable car or ropeway entry point which was quite confusing due to the absence of proper signal board. We asked locals but on inquiry, we were offered with other services like a sightseeing tour, horse ride and a taxi drive to the entry point. 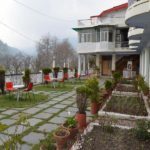 Ultimately, the place was located at a little height near the Sakley’s bakery (I’ll come to it in the second post on Nainital). Tickets costed us 150 per head and while waiting for our turn, we thought “why to waste time?” and started posing for selfies and groupfies. 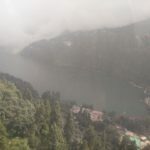 While going up by cable car, we got the panoramic view of Naini Lake and the surroundings albeit through the haze but it was still stupendous to look at. 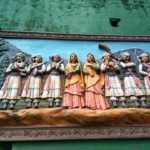 At a height of 2270m, one can enjoy the view of snow-capped mountains like Nanda Devi (Second highest mountains in India after Kangchenjunga), Trishul and Nanda Kot. Due to cloudy weather, we could hardly spot any peak from there 🙁 but who can stop us from having fun? 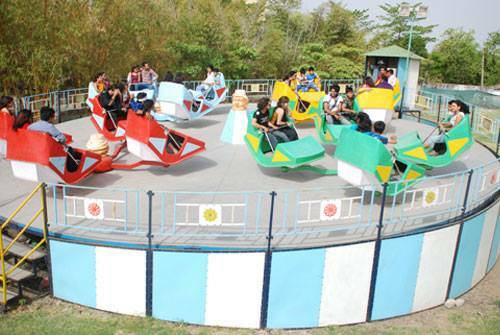 In an instant, we found one deserted amusement park with non-functional swings. 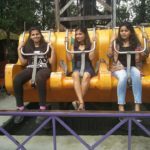 “‘Let’s give it a try’, we all said” at the same time and afterward selfies with one armed Uncle Scrooge and acting real on non-functional swings added to what we call Impromptu Fun. 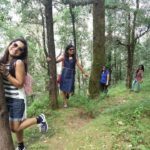 We trekked downhill to explore the unknown and got lost in the beauty of deodar trees. I almost felt like singing a song while hopping from tree to tree like typical Bollywood movie scene. Does someone remember a song “Yeh haseen vaadiyan” from the movie Roja? Well, exactly the same feeling. 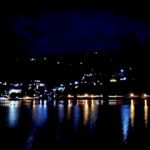 Naini lake is the heart and soul of the city with everything centering around it. 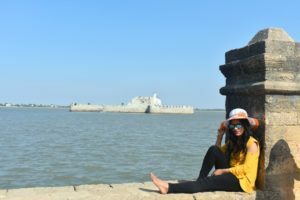 There were different types of boat to sail in like Yachts, Rowing Boats, and Shikara Boats. We enjoyed by having a boat ride in a self-driven paddle boat. 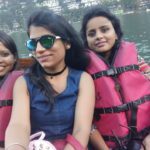 Boat ride stole the show with the magnificent view of lake enveloped in tall mountains. Besides, the balmy air took away all worries and left us with our best versions. 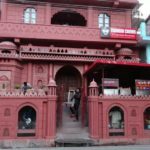 The Tibetan market located very close to the Naina Devi temple was a place for shopping enthusiasts. Wait, wait, wait !! look what I spotted – a puppy. It was soft like a soft toy and its eyes could speak to you about all the innocence of this world. “Isn’t it cute ?” that seemed like an irrelevant question in the context. 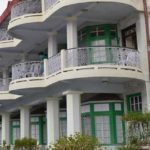 Moving ahead, we found that the place is full of small shops offering warm clothes, jewelry, candles, cosmetics, souvenirs, etc at reasonable rates. 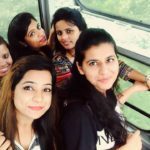 My lady gang got mesmerized and geared up by the variety available there. And let me tell you the trick to get these stuff cheap B-A-R-G-A-I-N! 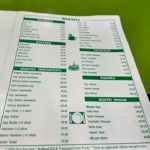 By the time our shopping spree was over, here we found this shop “Sonam Fast Food” (mentioned by the guy we met on the Volvo) known for its mouth-watering vegetarian and mutton momos and thukpa. We had veg Momos and Chowmien and we just loved it. 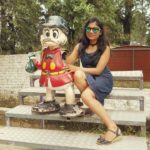 We thought of spending more time at the lakeside after whole day fun and clicked some pictures with Bagwati, a gorgeous lady with a pair of sunglasses (wink*). If you are lucky enough to be at Lake, you are lucky enough !! We walked the mall road market to our Hotel. We kept the “candles” right at the top of our shopping list (Yeah, again !!). Scented candles are the special souvenir of Nainital. One can get them in various colors, shapes, and sizes. We got plenty of them as gifts for friends back home. 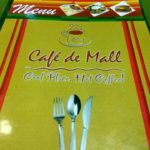 Suddenly I felt an urge to have coffee and encountered this place “Café de Mall“. 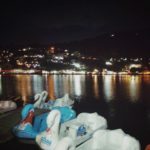 I sipped my coffee while sitting outdoors enjoying the cool breeze and view of Naini lake. And I really wished if I could sip my every subsequent coffee with the same feel. At night the hills go silent and only the lights shimmer on the lake. The Lake which had become more expressive in dark and looked amazing from the hotel’s balcony. With this, the day ended over some casual chit chat and a small round of truth & dare. 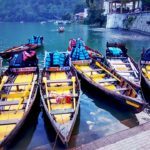 Best time: Nainital is a year-round destination but March to June and September to November is considered as the best time for sightseeing otherwise it will be rainy or too cold to roam around. Shopping Tips: Markets constitute good and affordable stuff here. Yet, you can get it cheaper by the art of bargaining. 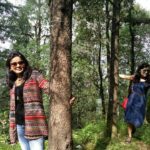 Side Trips: Some recommended side trips include Ranikhet, Almora, Kausani, and Mukteshwar (my personal favorite). 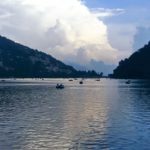 A half day tour of the enchanting local lakes, including Sat Tal, Bhimtal, and Naukuchiatal, is also fun. 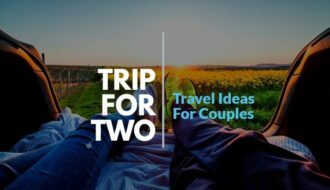 One can even plan for Corbett National Park (150 km). Ropeway: This is the most popular destination in the town. So, try to reach there at earliest as possible to avoid the rush. 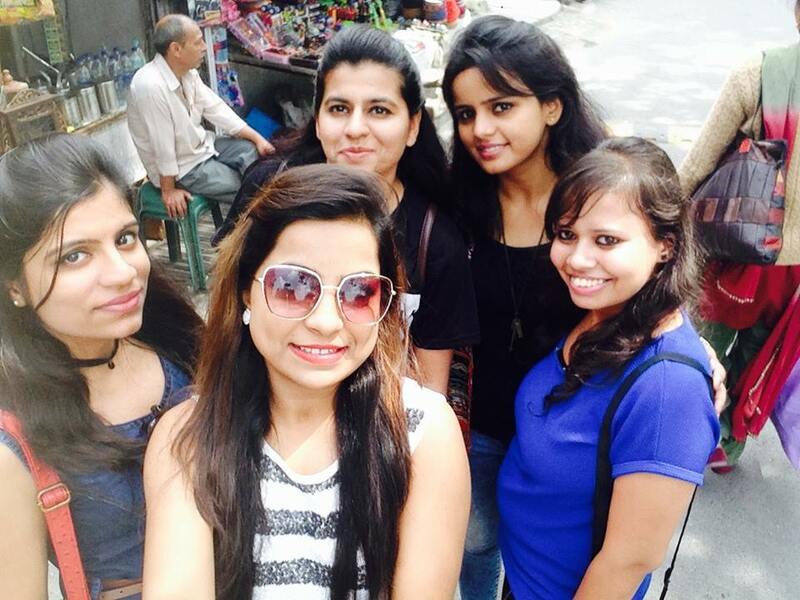 The first day in the city of Lakes with my lady gang was mind-blowing. This is a kind of place where one can enjoy by doing simple things like a walk by the lakeside or just sitting and taking in the beauty of nature. 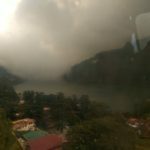 The fresh crisp air of the place had cleaned up the farthest alveoli of my lungs and I desired if they had an option for Nainital air takeaways. Everything was so unplanned and on the spur. Yet, amazing! Right from the hotel location to the time spent at the lakeside. 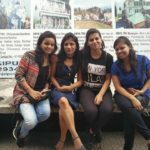 I swear by all the pictures we clicked in the town, the place is worth visiting! Life is too short to spend weekends at home. A well spent weekend can make your coming Mondays better if not the best. Thanks bhavini, I am really happy you liked it! 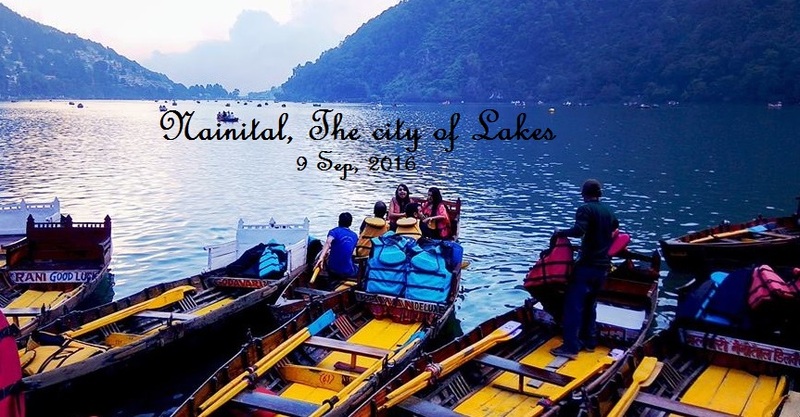 Post on the “Second day in Nainital” would be live soon. awesome! makes me wanna go on a trip with my gang of girls! Thanks Rakshanda for such kind words. You can join us next time!